Hyderabad, April 17: With the Aadhaar data leak becoming an issue and gaining political momentum, the Telangana government on Tuesday transferred the Aadhaar data leak case filed by UIDAI with Cyberabad Police to a special investigation team (SIT). The case was filed by UIDAI against IT Grids (India) Private Limited – a Hyderabad-based software firm which had developed and manages the Telugu Desam Party’s Seva Mitra mobile app. According to the case, the UIDAI had alleged IT Grids (India) Private Limited of illegally procuring details of 7,82,21,397 Aadhaar holders in Andhra Pradesh and Telangana and storing the details in the company’s databases. The UIDAI also alleged that the details of the Aadhaar holders were an exact copy and had been stored in the same format as in UIDAI and were used for the TDP’s Seva Mitra. 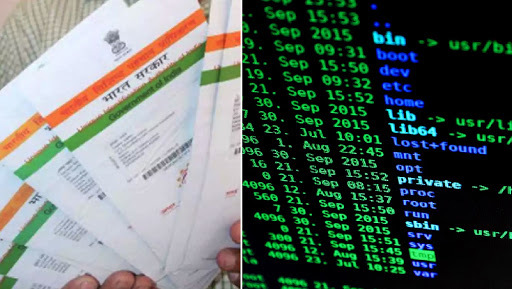 Aadhaar Data Leak: Indane Leaked UIDAI Numbers of Millions, Claims French Security Researcher; Indian Oil Denies. Briefing more about the case, UIDAI Deputy Director T Bhavani Prasad said, as reported by Indian Express, "The database found in possession of IT Grids is surprisingly similar to that is owned by UIDAI and it originally belongs to us. The presence of Aadhaar numbers raises doubts that the data may have been stolen from either Central Identities Data Repository or State Repository Data Hubs. We have lodged a complaint at Madhapur Police Station against the firm." As the case has was registered after the Telangana State Forensic Science Laboratory retrieved data stored in the servers of IT Grids, reports shows that typical entry in the database contained UID number, mobile number, name of the citizen, name of father, husband or guardian, date of birth, village, mandal and district, along with pin code. Acting on the complaint, the SIT had registered the case under sections of the Aadhaar (Targeted Delivery of Financial and Other Subsidies, Benefits and Services) Act, 2016. The UIDAI had also requested governments of Telangana and Andhra Pradesh to stop uploading property registration documents on the websites of their Revenue Departments as they contain Aadhaar details which may be misused by miscreants.